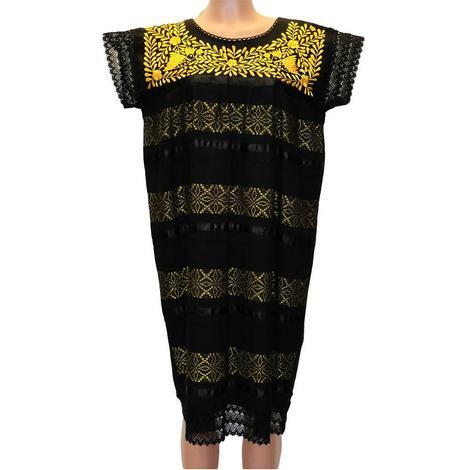 One of a kind black Mexican style dress with assorted colored yoke embroidery on a cap sleeve knee length shift. Lightweight, breathable cotton accented in different colored embroidery. Round neck and laced sleeves. Each dress is individually made with care and intricacy.